That was simplest scenario for the post office (router), but what if some package could contain illegal contents or exceeds maximum allowed weight? To check contents and other parameters, post office will need to setup some special devices (like ones which is used in airports to check contents of you bags) to make necessary measures. If some illegal contents will be found - the package will be stopped and warning message will be sent back to the sender (or person will be sent to the 'special' place ). HIF, I totally agree with you as well as with the information which you have mentioned here. 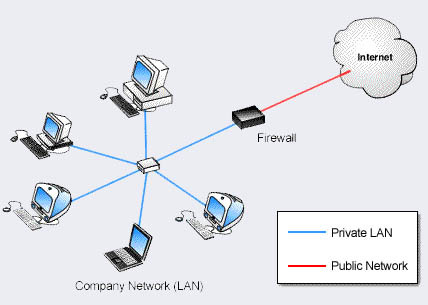 But in simple word we can say that a firewall is a term used to describe a device or application that will control and restrict data transfers between a computer system and Internet connection. The purpose of having a firewall in place is to not only prevent unauthorized or maliscious data entering your system via your internet connnection, but to also prevent sensitive information from leaving you system. To steal something from your PC the one need first to install some exploit. A little software which will perform all operations its owner needs. OR may be you have some ideas how information could be stolen from your PC.